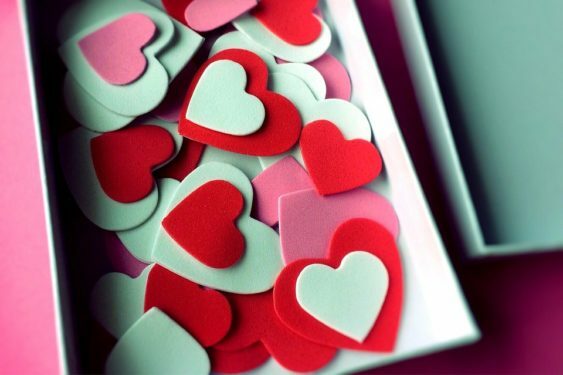 Red wine, chocolate, & words of love! 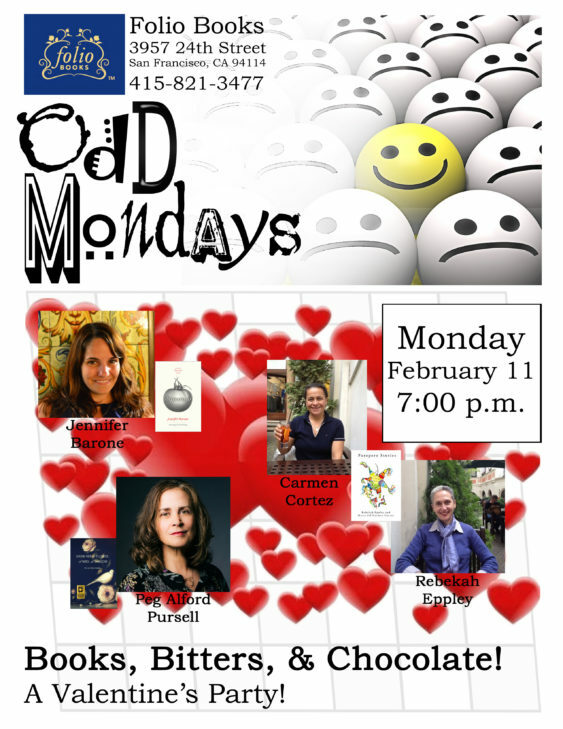 Join Odd Mondays for its Valentine’s party Books, Bitters, & Chocolate!, Monday, February 11, from 7pm to 8pm at Folio Books San Francisco, 3957 24th St. in Noe Valley. Authors Jennifer Barone Poetry, Rebekah Eppley, and Peg Alford Pursell read about love, illustrator Carmen Cortez prepares love bitters, Michael’s Chocolates will have Valentine’s chocolates for sampling and sales, and there’ll be free red wine for all! No-host dinner nearby at 5:30pm, Haystack Restaurant, 3881 24th St.
Here’s more about the participants! Maria del Carmen Cortez (Carmen) is an Herbalist, Permaculturalist, and Medicine Maker. Her passions are gardening, growing her own medicine, and creating art. She was born in Purepero, in the state of Michoacan, Mexico, with an extended family of storytellers who also instilled in her a love of plant medicine. She grew up as a migrant farm worker in the San Joaquin Valley and currently lives in Oakland. Rebekah Eppley holds a Master’s of Library and Information Science from San Jose State University, a Master’s in Creative Writing from San Francisco State University and a BFA in Writing, Literature & Publishing from Emerson College. She published a chapter in an oral history collection, Nine Lives, Uncovering the Wealth of Life Stories Within our Nursing Homes and her fiction and poetry have appeared in magazines such as the Santa Clara Review, Watchword Press, and Lodestar Quarterly. She lives in Oakland with her wife, Carmen Cortez, and works as a librarian at the Dimond Branch of the Oakland Public Library.